The Spurs led by as many as 36 points and trailed only for a brief moment in the first quarter. Leonard went 8 of 13 on shooting from the floor while making 3 of his 6 3-point attempts and collecting four steals and three blocks for San Antonio, which went 51.9 percent from the field overall and 43.5 percent from 3-pointers. “I got some easy shots going into that transition, getting some layups and dunks,” Leonard said. 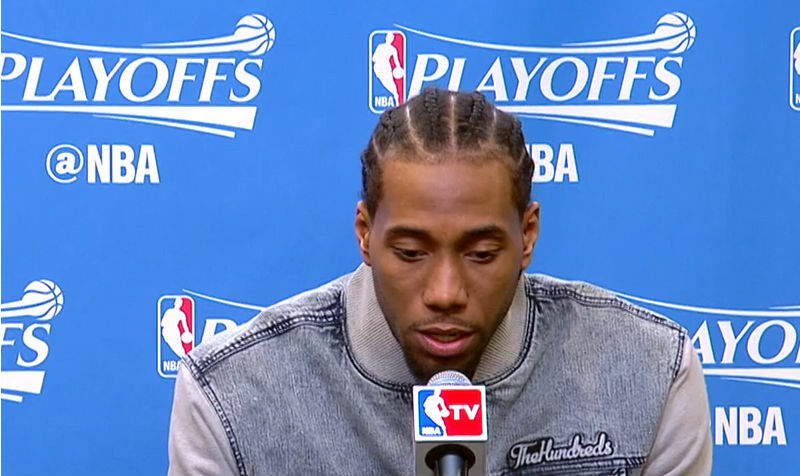 San Antonio coach Gregg Popovich praised the defensive effort of Leonard as well. “Kawhi’s a very good defender, and he takes great pride in it,” the veteran coach said. LaMarcus Aldridge scored 17 points on 8 of 15 shooting on his playoff debut with the Spurs while a rejuvenated Tony Parker added 15 points and six rebounds and Patty Mills collected 15 points in the Game 1 victory for the Texas side. Vince Carter made 6 of his 7 field goal attempts to lead the way for the Grizzlies with 16 points, with Lance Stephenson scoring 14 points off the bench in the defeat for Memphis. It was a slow night, however, for Zach Randolph, who was held to just six points on 3 of 13 shooting while the visitors turned the ball over 16 times for 22 points in the defeat. “When you’re playing against a team like this at home, you have to value the basketball and you have to hit shots as well,” Carter said. “When we’re turning the ball over and not hitting shots, the lead can go from a five-point game to a 15- to 20-point game in the blink of an eye. The 32 point deficit was the Grizzlies’ worst postseason loss, eclipsing the 27 point margin that suffered against the Oklahoma City Thunder in 2011. “It don’t matter if we would have won by one, lost by 30 or won by 15, we’re just trying to get one game,” Randolph said. The San Antonio Spurs set a franchise record with 67 victories during the regular season and they are the heavy favorites to sweep a Grizzlies side that has been hit by injuries. Starting guard Mike Conley missed the game due to a left achilles tendinitis while Brandan Wright missed out because of a right MCL sprain. Star center Marc Gasol was already ruled out for the remainder of the season with a broken right foot. He was averaging a career high 16.6 points per game and was also pulling down 7 rebounds and 1.3 blocks per contests and shooting 46-percent from the floor before his injury. Gasol played 52 of the 82 regular season games this term. Game 2 in the series against the Spurs is Tuesday in San Antonio.